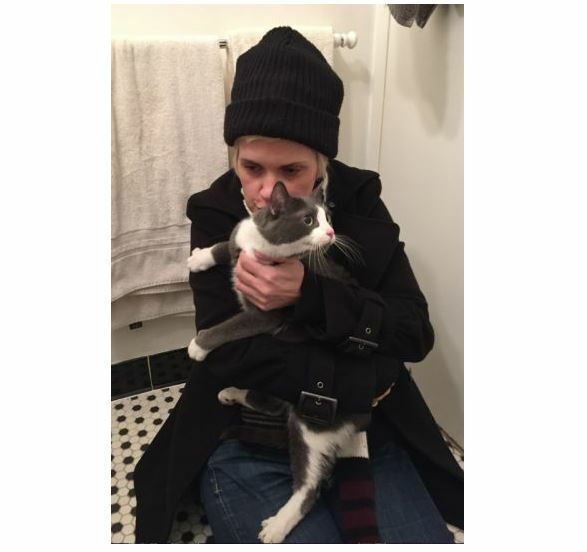 A woman whose home was destroyed when a building exploded in NYC last week has been reunited with her missing cats. 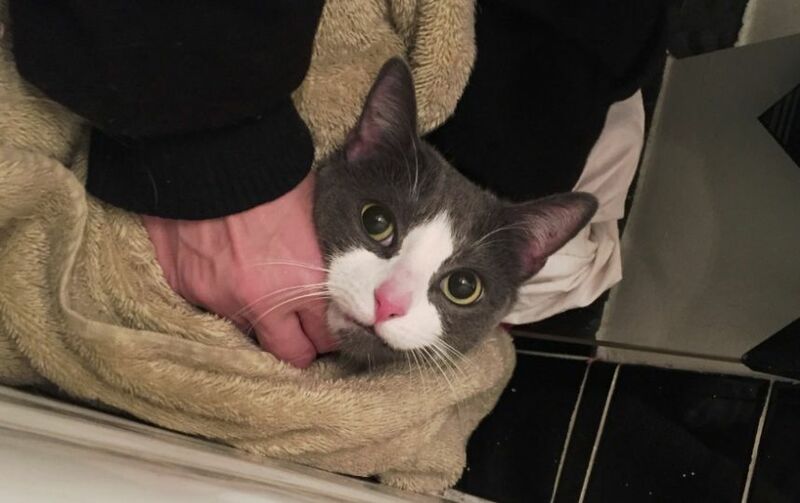 A resident of an East Village NYC building heavily damaged when an adjacent building spectacularly exploded and collapsed last Thursday has been reunited with her two cats, who were found five days after the devastating incident that destroyed their home. Kathleen Blomberg, a 7th floor resident at 125 Second Ave. has been reunited with Kitty Cordelia and Sebastian, the ASPCA announced today. The NYPD and ASPCA found the 5-year-old brother and sister siblings Tuesday afternoon as they searched through the rubble. The cats were found huddled together under their petmom’s bed, and it took a couple of hours to rescue the shy and skittish pets. Kathleen was sleeping last Thursday when the neighboring building exploded. She woke her roommate and they ran outside. “I thought I would have an opportunity to go back upstairs to get the cats, but as soon as we came down, they started sealing off the building,” Kathleen said. The building remains off-limits to residents. 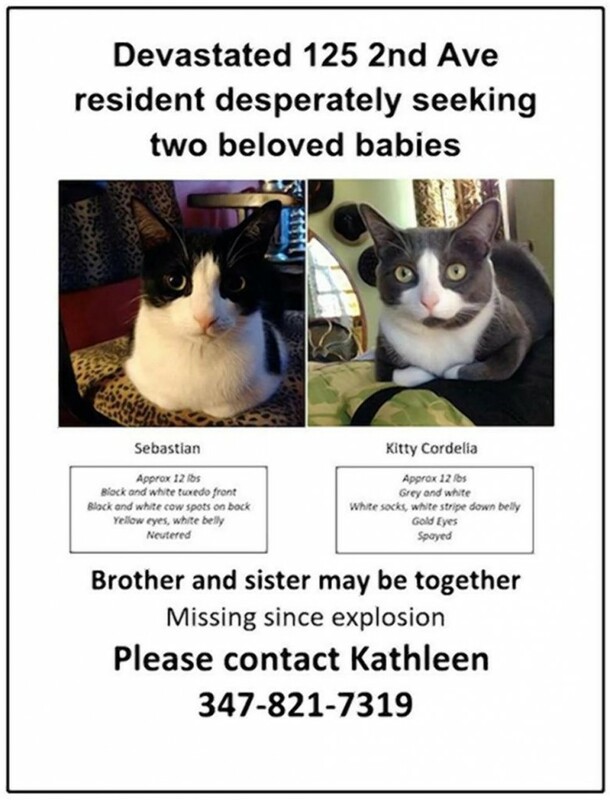 The petmom put up flyers and posted at social media in her efforts to find her missing cats. She got the good news that they’d been safely found Tuesday night. “When I got the call, I just started screaming and crying and jumping up and down,” she said.